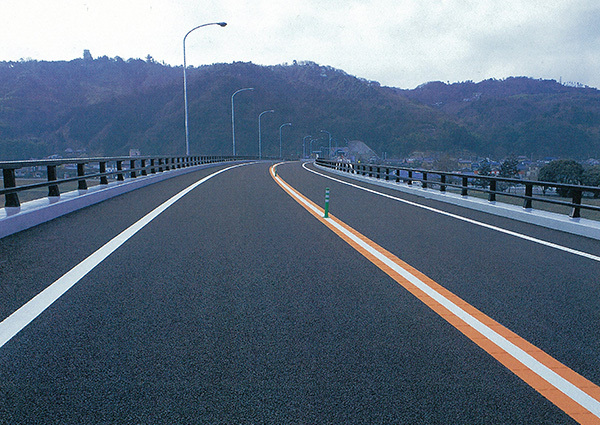 TOUGHPHALT SUPER M is a polymer modified asphalt that is used for porous asphalt paving (high function paving) on bridge with steel deck plates. 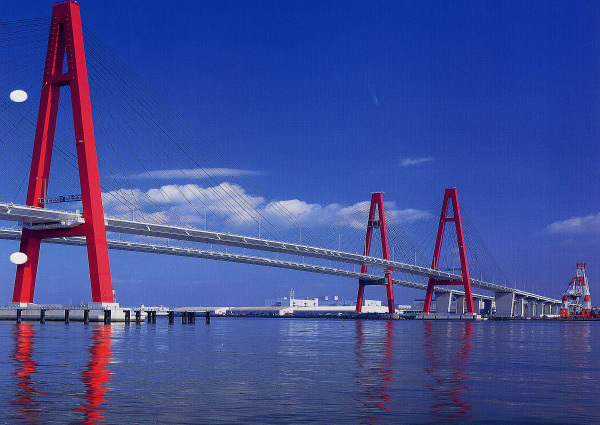 Has outstanding flexibility and fatigue resistance, and has a high ability to conform to the deformation of the bridge with steel deck plates. Compared to polymer modified asphalt type H, TOUGHPHALT SUPER M has the following features. Due to the outstanding flexibility that allows it to conform to the behavior of the steel deck plates, cracking resistance and fatigue resistance have been dramatically improved. Because it will not become brittle at low temperatures, the resistance to aggregate scattering due to the use of tire chains in the wintertime will be outstanding. The adhesion with the aggregate is good, and the stripping resistance is outstanding.